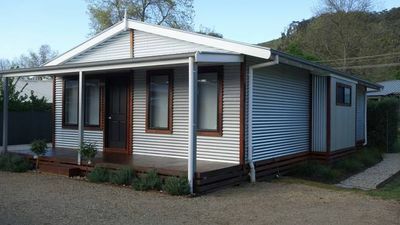 "Pay for 2, stay for 3" special - this property offers the "pay for 2, stay for 3" special on weekends, "3 for 4" on long weekends, or "5 for 4" over Easter. The special can be applied to any day of arrival - if the applicable weekend rate is paid. The special does not apply in December and January. 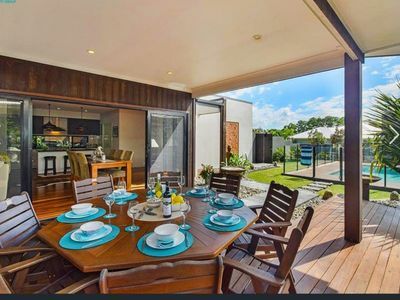 Location - Saltwater is located very centrally in Berry with the main street, boutique shops, award - winning restaurants and cafes only a four minute walk away. The famous Seven Mile beach at Gerroa is only a ten minute drive away, and a further five minutes takes you to Gerringong's Werri Beach, shops and cafes. 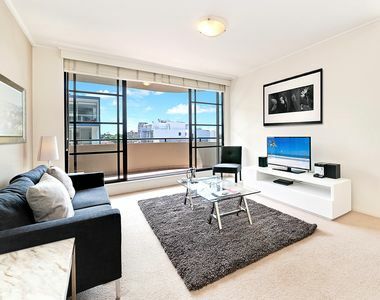 Key Features - Saltwater has a great central location, within easy walking distance to Berry. 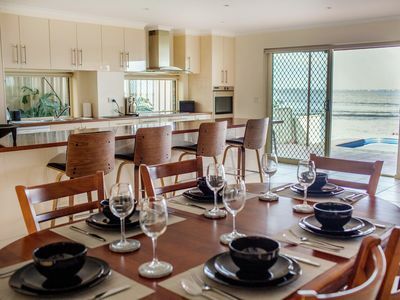 The warm interior features of the property include open plan living with full kitchen to self-cater, split-level lounge with wood fire and a spacious living area that opens to the terrace. 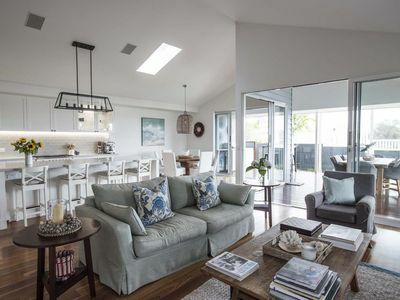 Configuration - Saltwater is a single story home with almost everything you could ask for, it is one of the most desirable holiday rentals in Berry. 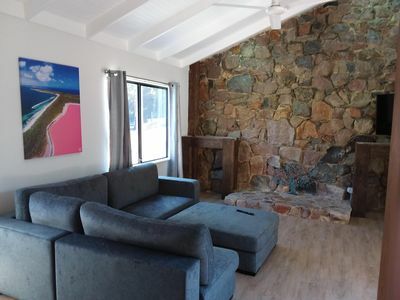 Comfortable, functional and incredibly relaxing, this property will not disappoint! In the main house there is a queen bedroom and twin bedroom with shared ensuite.Walk through the queen room and ensuite to access the twin room - perfect for parents and kids. There is also another queen bedroom, twin bedroom and a main bathroom with bath, double vanity and toilet. There are two living areas:Living Room One is adjacent to kitchen with a wood fireplace and Living Room Two has a TV, DVD and multi phone music dock player. The dining area is adjacent to the kitchen. 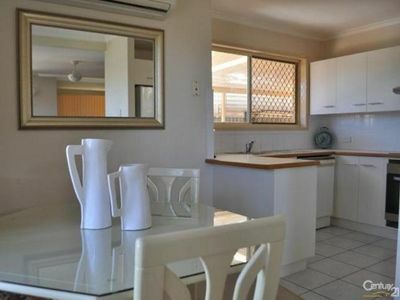 The kitchen is fully equipped with electric bench top and oven, microwave, dishwasher, fridge/freezer, bar fridge and all necessary utensils. A coffee machine with complimentary organic locally produced coffee from The Deli Gerringong is provided for guests. The Pool House has two bedrooms - one with a queen bed and one with a king bed. 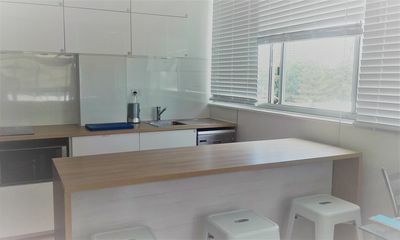 There is also a shared bathroom, table tennis area, fully equipped laundry, living room with TV, DVD and multi phone music dock player The kitchen is equipped with fridge/freezer, microwave, kettle, toaster and all necessary utensils. The pool house also has a coffee machine with milk frother and pods provided. Outdoors - The private setting in the fully fenced backyard is highlighted by the heated saltwater pool and the patio area. Saltwater offers you a sense of being ina resort - all just minutes from shopping, dining and spectacular beaches. The solar heated pool means you can enjoy it during both the winter and summer months. 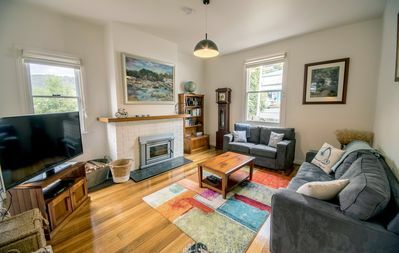 Heating and Cooling - Saltwater has a wood fire place in the main living area and reverse cycle air condition in the dining area. There are also ceiling fans in all of the bedrooms and in the second living room. Linen - Sheets, pillows, blankets or doonas, linen and bath towels are provided at this property. Please however bring your favourite beach towel! 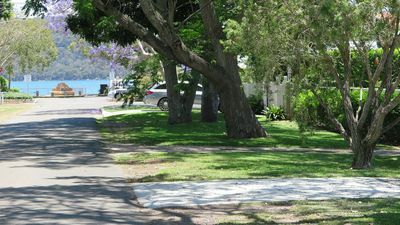 Parking - There is off street, open air parking for up to three cars on the driveway to the left of the house. 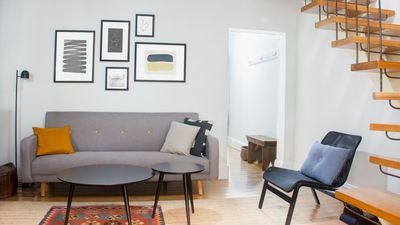 Internet/ WIFI access - This property provides complimentary WiFi and a password will be provided in your pre-arrival email, or will be available at the property. Please note however that neither the agency nor the owner can guarantee 100% that the WiFi will work, and no compensation will be payable if problematic. If important, please therefore always have a back up plan. 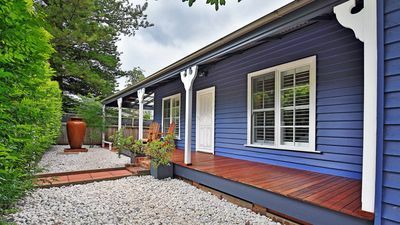 About us - This property is professionally managed by a dedicated holiday rental agency with offices in Gerringong, Hyams Beach and Bowral. 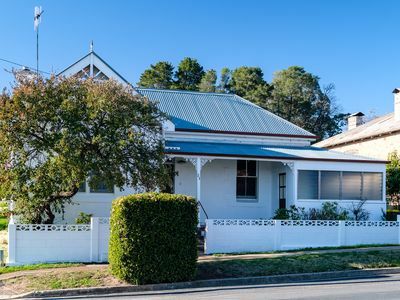 We have over 270 properties in Kiama, Gerringong, Gerroa, Berry, Huskisson, Vincentia, Hyams Beach and the Southern Highlands. We offer guests 7 x 24 customer service.